How to live in our increasingly secular culture? That is the question that many, if not most, Christians are asking these days. But the answer(s) is not clear even for those who have focused greatest attention on various possibilities. Journalist Rod Dreher has proposed what he calls the Benedict Option. This has been countered by others with what has been referred to as the Wilberforce Option. A third possibility has been dubbed the Robert George option, named for the prominent Catholic legal scholar and Princeton professor. Two hundred years ago, when the great reformer and abolitionist William Wilberforce was alive, the situation was the same. In fact, it was worse. In our own country today, secularism is still generally confined to the cultural elites, who are few in number and mostly live in a few metropolitan areas. But the overwhelming percentage of Americans across the country – 84 percent by a recent Gallup poll – self-identify as Christians, with about half of them “serious” about their faith. So most of us still remember where the Golden Rule came from. Though the tide is rising, we have not yet been completely swamped by secularism. More extraordinary was their canny willingness to work with nonChristians, if possible. 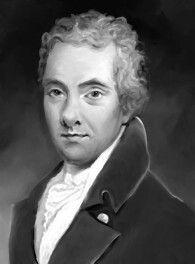 For example, Wilberforce made common cause with Charles Fox, another member of Parliament who was one of the most publicly immoral men of his day. But Wilberforce didn’t do this to be seen as “bipartisan” or to lessen criticisms of himself as a prude or religious fanatic, for that itself would have been prideful. He did it because he reckoned ending the slave trade more important than taking a public stand against the dizzying debaucheries of Mr. Fox. But all this was in Wilberforce’s day! Much has happened in Evangelical circles that make us no longer effective in engaging the broader secular culture—the anti-culture stance, the anti-elite attitude, and the rampant anti-intellectualism. The last third of Metaxas’s article discussed how these stances hamper today’s Evangelicals and is linked below. Must reading—highly recommended!! “Cultural Elites: The Next Unreached People Group” is available online. Eric Metaxas is the author of Amazing Grace: William Wilberforce and the Heroic Campaign to End Slavery, Bonhoeffer: Pastor, Martyr, Prophet, Spy, and numerous other books, including several children’s stories.